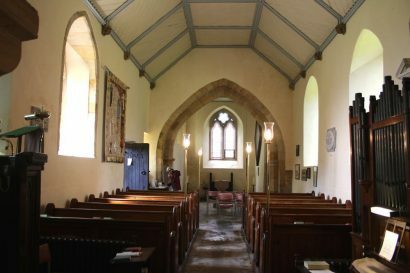 A gentle ramble through the countryside with superb views of the lower Wensleydale Valley, delightful flora most of the year and an opportunity to explore St Oswald’s Church – which dates from around 1200. 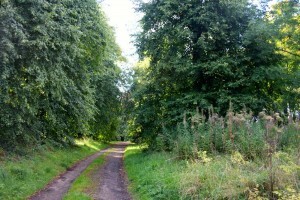 Walk up the wide track between an avenue of (mainly) Lime trees. 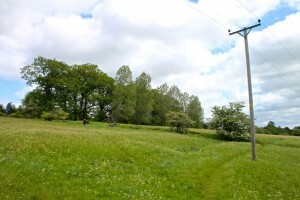 I f you are here in June you will see red campion, cow parsley, bugle, pignut and herb robert along the way. 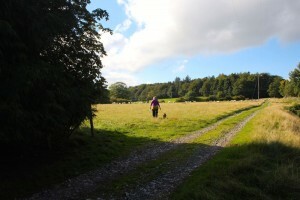 If you are here in May there will be an avenue of rhododendrons each side of the track. If you are fortunate enough to come through in the autumn the beech trees will be golden. 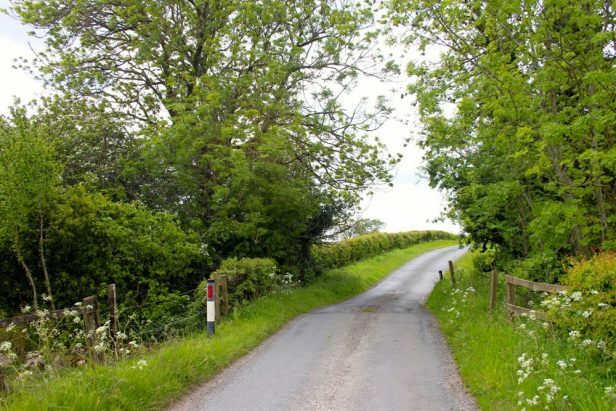 Go through the field gate with a hand gate beside it. .
Continue up the drive for half a mile, through the white field gate and, on meeting cross roads, bear left. At a parting of ways, do not take the left turn taking you to a private area. Keep to the right. 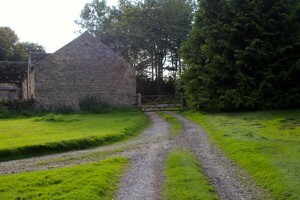 Again keep to the right going through a field gate leaving various farm buildings on your left. 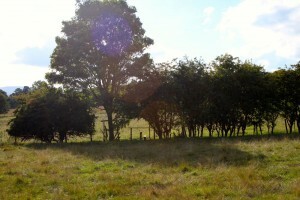 Having reached a small wood on your left go diagonally across a field. The track ahead is not a public right of way. 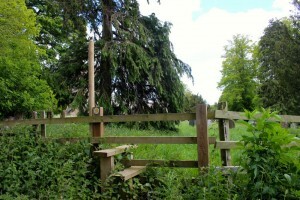 Keep left and head for a small stile. Bear right and make for the left end of the wood up ahead. 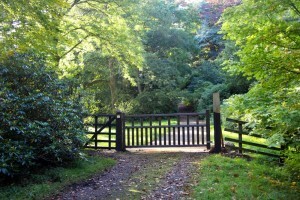 Make for, and then go through, the wide gate/gap in the next fence. Then turn left on the track ahead, to eventually join a road. 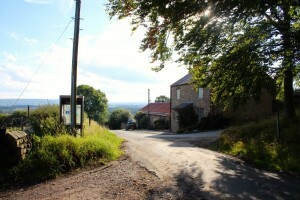 There are wide views, with Pen Hill to the west and the north York moors in the far distance to the east. On reaching the road turn left down Barden Lane. 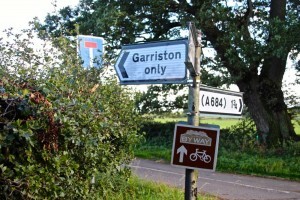 After about half a mile, turn left at a cross roads, towards Garriston, a small hamlet. 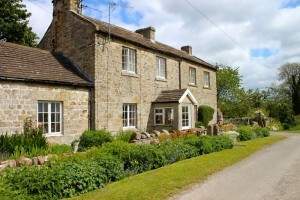 You will pass a cottage on the left which has traditional Yorkshire sliding windows. Ignore a public footpath sign to the left. 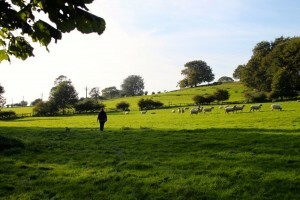 Keeping straight on, go through a metal field gate with farm buildings on your left. 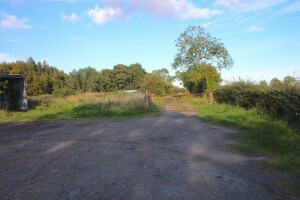 Follow the public footpath sign to your left, about 100 metres beyond the last metal field gate. There is a field on your right, and a wooded slope on your left. 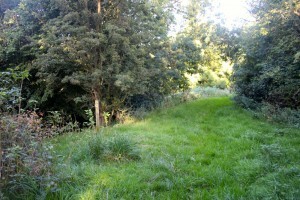 Continue along the grass path until you reach a waymark, with one arrow going forward and the other going left down the slope to the beck. At this point there is a choice of routes. If you turn left here, the slope is fairly steep and care must be taken particularly in wet weather – but its fine in good weather. If its too wet, see alternative route below. 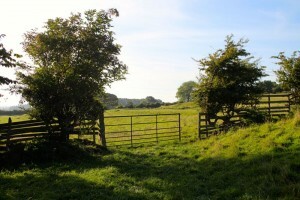 Cross the metal footbridge, and through the hand gate, and take a diagonal direction up the field towards a telegraph pole. 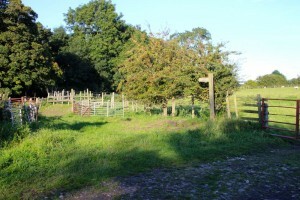 As you pass the last of the avenue of trees, look left and you will see a stile. Go over the stile. and into the churchyard. 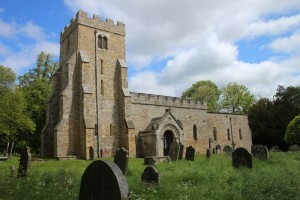 The parish church of St Oswald is a Grade 2 listed building, parts of which 11th and 13 th century with 19th additions. 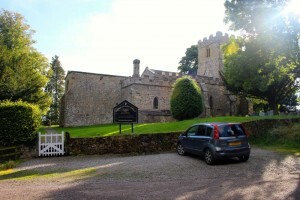 The church is generally open, with information inside. 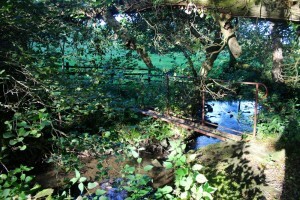 (Alternative route ) If it is wet, the bank down to the beck will be slippery. 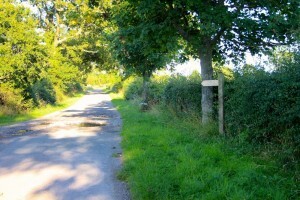 An alternative route is to go straight on at the waymark, following the path to a hand gate in the hedge. 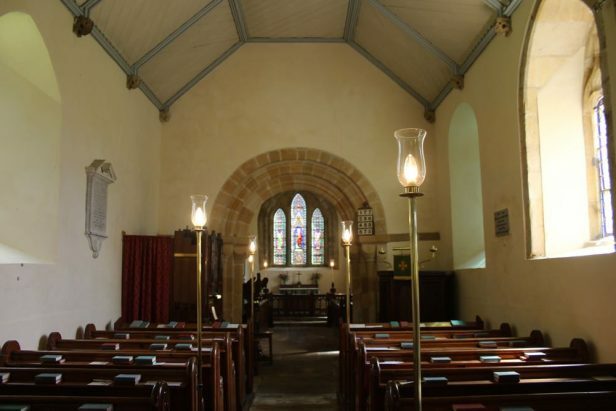 Turn left along the road for a short way , and left again up the drive to the church..
Did you follow this route ? 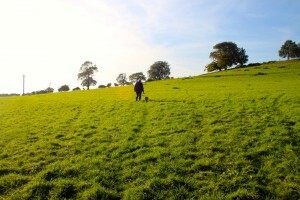 Lovely walk today with my two dogs. 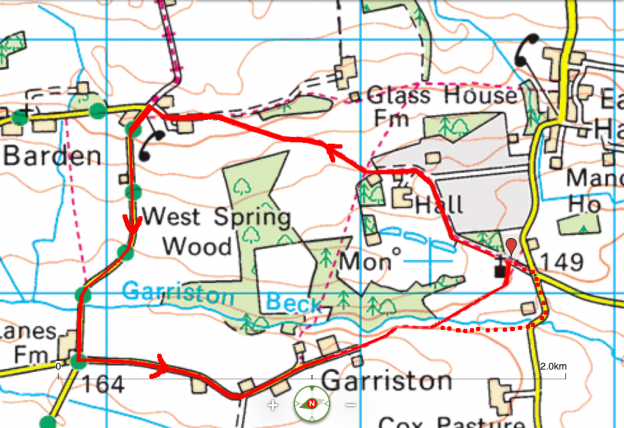 I did not print the whole walk description just the map and became a bit confused as to the correct route after passing the Hall as the footpath signs disappear. I ended up going up the no public right of way track, sorry to the owners, and turning left at the top to rejoin the correct path. I also did not see any way mark to take me over the brook as per the route so ended up going straight on and joining the road; dogs did have a dip in the beck just before the road. Minor issues aside, it was a lovely 1hr 30 minutes and now having done the recce will take the Wife next time, on the correct route. 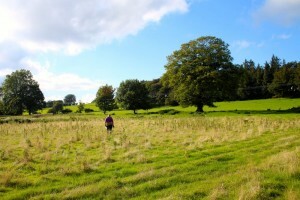 The route after the Hall isn’t very obvious – its diagonally across fields with no clear track as there aren’t regular walkers, and there’s no easy target to aim for. 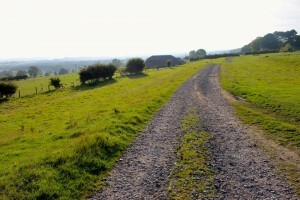 The ‘easy’ alternative is to keep to the farm track and then turn left after the woods – again following a farm track. 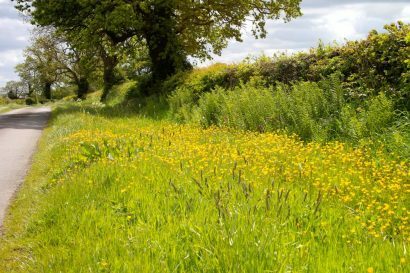 The other problem you hit – taking a left to cross the brook towards the end of the walk is actually signposted, but its easy to miss in amongst the dense foliage (especially in Summer!) There’s no real harm in the route you actually took here either [ it can sometimes be a treacherous decent to the brook, when its wet ] but you miss out (a little) by omitting a delightful approach and different perspective gained of the lovely Hauxwell Church. Glad you enjoyed the walk. I hope that your wife gets equal pleasure when taking the walk with you next time…..